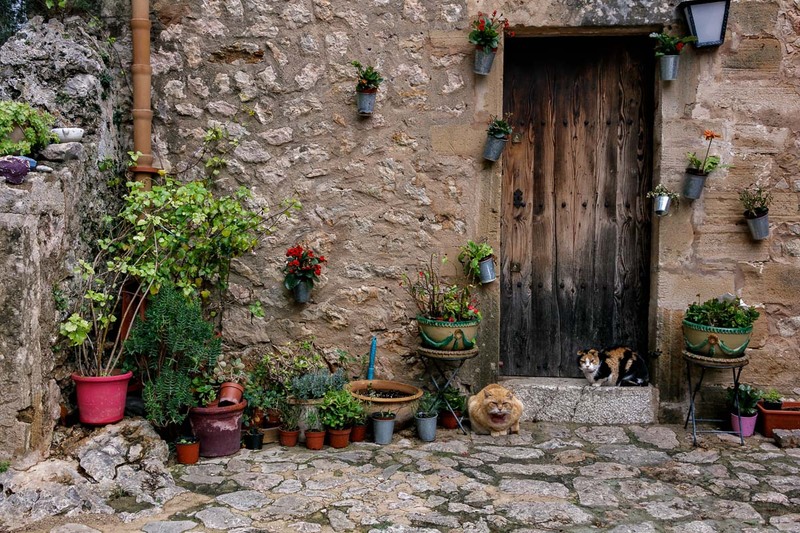 This article highlights the old section of the village of Pollensa, Majorca. 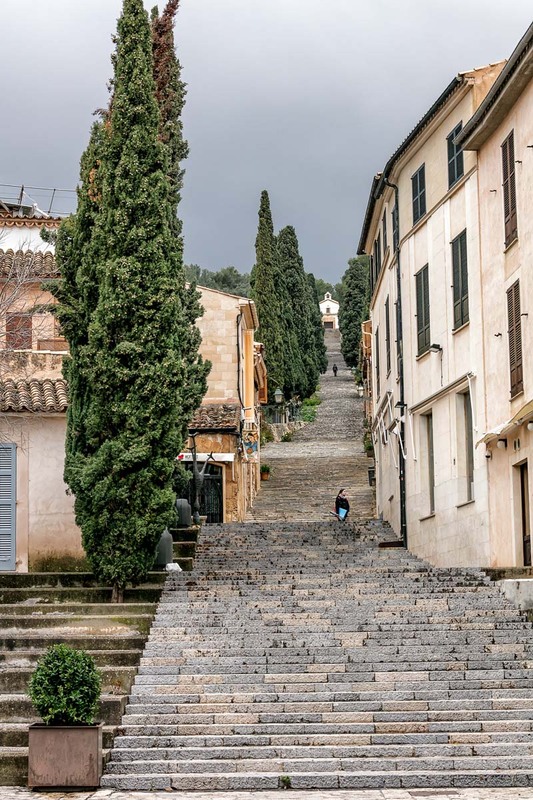 In addition to the village’s storied history, the Church of Calvary sits atop a hill with 365 steps leading up to it. 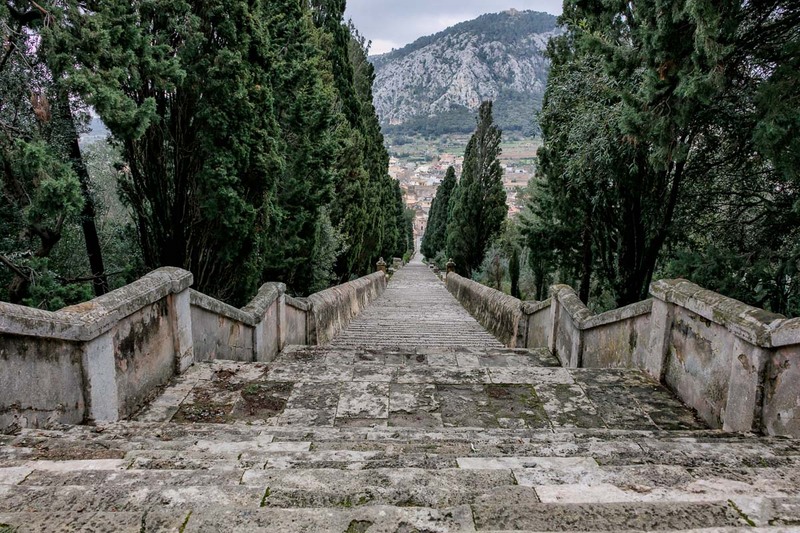 Every Easter Good Friday commemorations trace the path of the cross up those stairs. 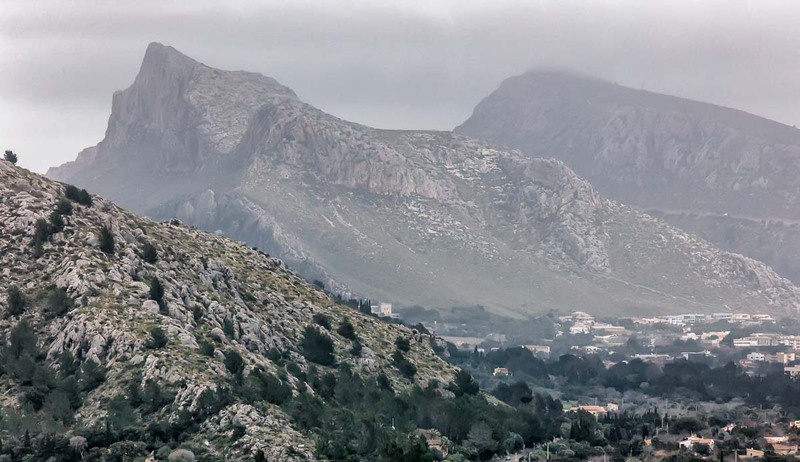 Once at the top, there are commanding views of the World Heritage Serra de Tramuntana mountains. 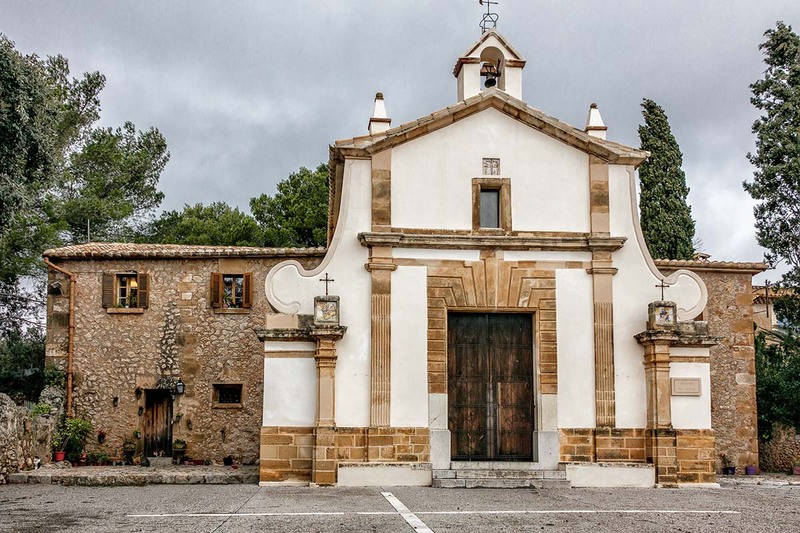 Also of note is the Església de Nostra Senyora dels Àngels (the Church of Our Lady of the Angels) which was partially built by the Knights Templar. Some days feel older than others. Thanks, Stan! Yeah, those stairs were a killer. Thanks, Sandy! They do have a long history. Thanks Jerry! Love the series, especially the caves. You do get the most out of your travels, great energy and enthusiasm for an aging dude. 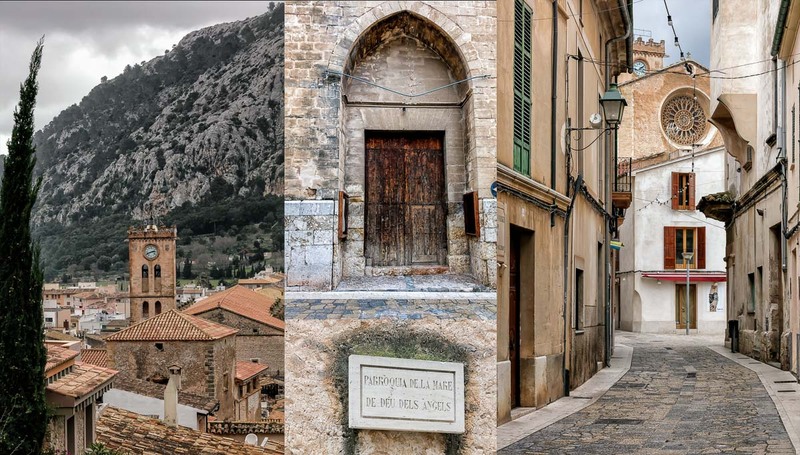 Simply amazing photos! Love the angles. Wouldn’t like to climb the stairs though! What a difference a great camera makes! So beautiful! Thanks, Jerry. I couldn’t take the pressure any more and manned up to google where the heck Majorca is. Just as I recalled from my hippie in Europe days, it is an island – beloved by some and feared by others. I was one of the ones who feared the stories of leather coated police with machine guns – in my mind they were still fighting the Spanish civil war, and I was on the wrong side. It looks like they have come a long way since then. Wow what a feast of history. According to Wikipedia they were first settled by the Phoenicians – that culture was ancient to the ancients. Fascinating. I hope the trip was as fascinating as it appears in your photos and sounds in Wikipedia.